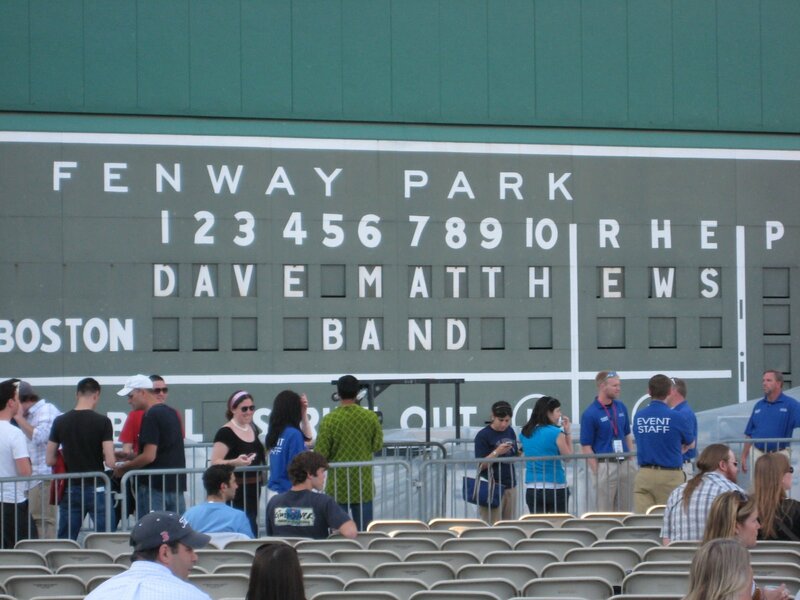 Where to start about night two of Dave Matthews Band’s two-night homestand at Fenway Park? After all, there’s, ahem, so much to say. For one thing, my seat was a vast improvement over the one I had Friday night. There’s just no comparison between sitting in the Grandstand (where I was Friday) and sitting on the field (where I was last night). As Dave sings in one of my favorites of his songs, “Everything’s different … just like that.” The sound quality on the field is clearer, louder, sharper, crisper, and better — as is the view, of course. Also, the audience is much more engaged with the show. They’re also older and less inclined to smoke up (at least that was the case with those around me). And that all added up to a much better experience for me. It was like I had been to two completely different shows. It wasn’t just the seats that made Saturday the better show, however. The flow was better, the musicianship seemed a step above, the weather was perfect, and it all made for a better time. Saturday’s concert featured a significantly different set list — aside from the tracks from Big Whiskey and the GrooGrux King and the duet with Willie Nelson on “Gravedigger,” there were no repeated songs from the night before. And actually, he played one more song from GrooGrux than he had on Friday, which I also enjoyed (even though I’m still baffled by why they didn’t do “Shake Me Like a Monkey,” which seems tailor-made for a live show). The show started out in what I can only describe as “muscular” style, with “Rapunzel,” “Alligator Pie,” “Don’t Drink the Water,” and “Seven” all sounding big and loud and powerful. 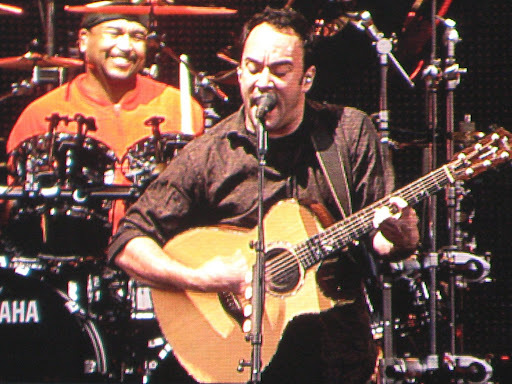 It was further proof that DMB is no longer just an aimless “jam band” for frat boys. They now play with so much of a rock/funk sound (as opposed to their earlier more folksy/jazz fusion leanings) and with such strength that seeing them live today is a very different experience from five or six years ago, when I was seeing them in concert every summer. Then it just got better from there. 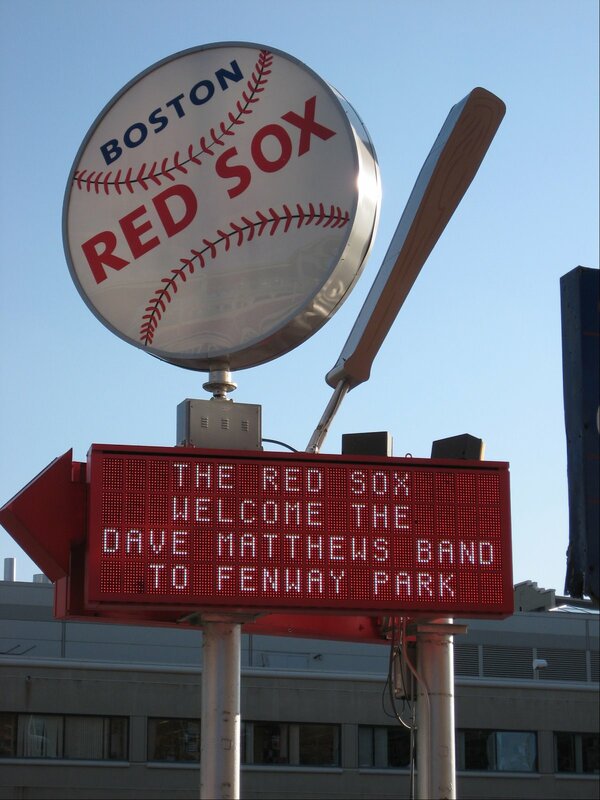 As Dave sang in “Dancing Nancies,” “I’ll sing and dance, and I’ll play for you tonight. The thrill of it all.” Sho’ nuff, he delivered on that. The band was totally into every song, tight as always. Dave was dancing, and it was all great. But I can imagine that’s the reason the band took over even more last night than they had on Friday. 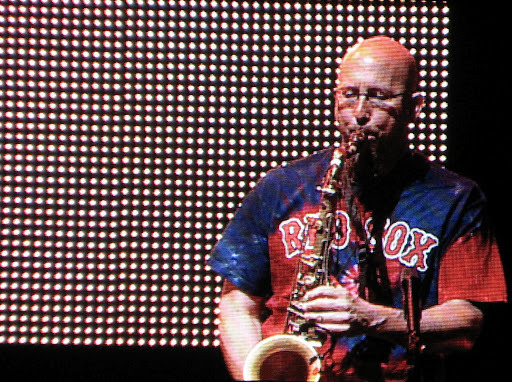 Impressive new sax player Jeff Coffin (again, wearing a Red Sox shirt), violinist Boyd Tinsley, guitarist Tim Reynolds, and the freakishly happy drummer Carter Beauford were nothing short of a force to be reckoned with during the final third of the show’s main set, with “Crush,” “#41,” “Rhyme and Reason,” “Time Bomb,” and “Two Step” all giving them a chance to dominate. One mind-blowing song after another. And then, as if the show couldn’t get any better … for his encore, Dave pulled out “Dirty Water.” He may not have remembered all the words at first, but damn, did that make the crowd go nuts. It was so cool, so good, so much fun. And then it all ended with a boisterous “Stay (Wasting Time).” Suffice it to say, when the show ended, people took that song literally and no one wanted to leave. Damn … this was just one incredible show. It’s amazing what a day — and a better seat — can do.